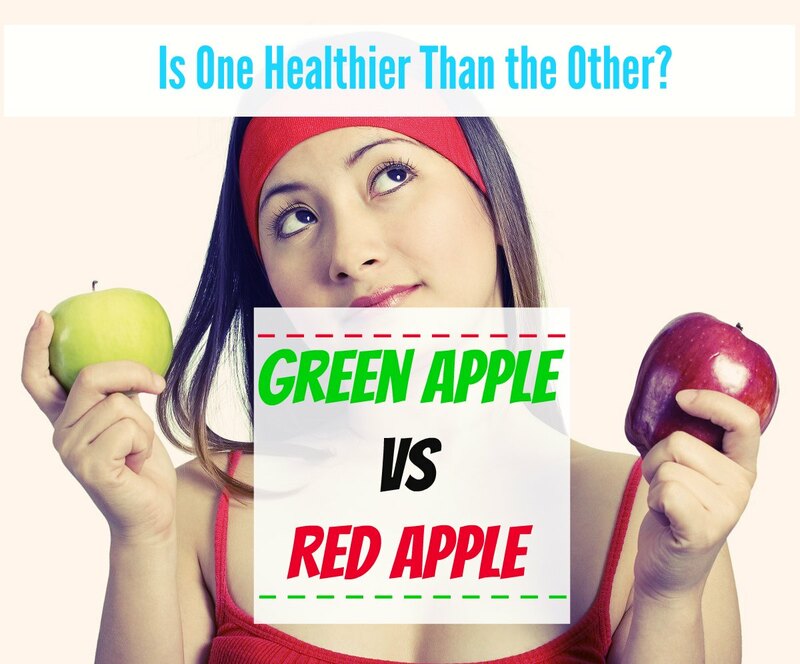 Home » Blog » Green Apple vs Red Apple – Is One Healthier Than the Other? Eating a good diet is one of the most crucial components of health. Getting the basics down is often good enough—eating plenty of fruits and vegetables, getting enough protein, and avoiding processed foods and sugar. However, nutrition can go much deeper than this. Those of us who care a lot about our health may be wondering: Is there a health difference in green apples versus red apples? Apples grow on trees of the Malus pumila species. This species is closely related to crabapples (Surprise!). It is a cousin of over fruit-bearing trees, including apricots, cherries, peaches, pears, and plums. Malus pumila is also a distant relative of roses, hops, and the elm tree. Despite the apple’s popularity within the U.S., Americans actually do not consume very many apples on a global scale. Instead, Austria is the #1 consumer of apples per capita each year, as cited by StatsMonkey. 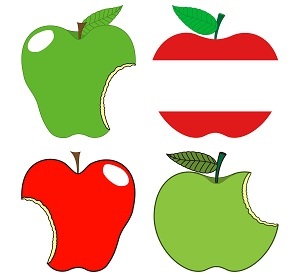 (2) The average Austrian consumes an apple nearly every day, which is more than three times what the average American eats. As such, the United States lags behind at #35 in the list of the most voracious apple-consuming countries. You will not come across most of these within your lifetime! There are a relatively small handful of apple varietals that are popular in Western grocery stores. Of course, the Red Delicious is the quintessential red apple. Some other popular red apples are the Fuji, Gala, and Jonathan types. Most green apples you are likely to encounter are of the Granny Smith variety, though you may also have enjoyed a Ginger Gold before. 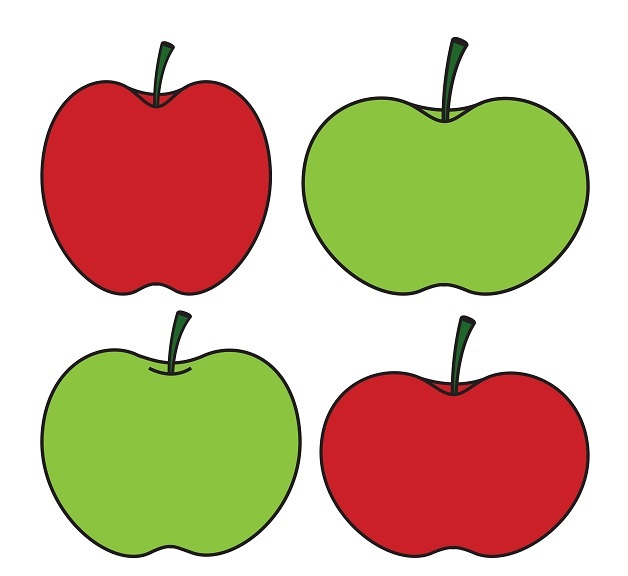 Apples come in many colors: Red, green, yellow, or a mottled combination. Nevertheless, red and green apples are arguably the two most common types of apple. Red and green are very different colors; does this hint at a difference in healthiness as well? Green Versus Red: Which Has More Fiber? The United States Department of Agriculture offers the National Nutrient Database for Standard Reference. This resource provides detailed nutritional information on a huge number of foods, going deeper than what is displayed on a product’s nutrition facts label. So what does this mean for blood sugar? Registered dietician Meri Raffetto says that fiber helps control the rise in blood sugar that occurs after eating. (5) This is because the more fiber is in your food, the more slowly it is digested. Eating more fiber helps keep your blood sugar levels stable. This is crucial for people who suffer from type 2 diabetes. Raffetto notes that in some cases, a high-fiber diet is enough for a diabetic person to gain control over his or her blood sugar. However, the benefits of fiber for your blood sugar are of interest to everyone, even if you don’t have diabetes. It helps prevent development of type 2 diabetes in the future. Even in healthy people, a large blood sugar spike after a meal can cause unpleasant side effects like lethargy, and eating more fiber helps prevent this. Staying fuller longer after eating. Plant foods, including fruits, vegetables, and legumes, are where we get our dietary fiber. Adding an apple to each meal is a great way to get more fiber, especially since apples are delicious, convenient, and don’t require any preparation. If you opt for a Granny Smith apple rather than another cultivar, you will enjoy even more health benefits. Is There a Difference in Nutrients? Though most people would not suspect this to be the case, green apples are actually more nutritious than red apples in many respects. 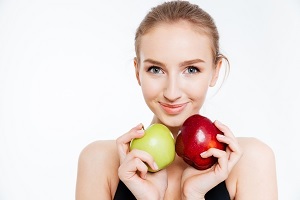 The macronutrient balance of a green apple is healthier than a red apple. Green apples offer 63% more protein than red apples; if you eat an apple every day, in one year you will have racked up 160 grams of extra protein by switching to green apples. Green apples also have less sugar than red apples, which makes sense considering their taste is more tart and less sweet. Excess sugar intake has a huge range of health effects. Although the sugar in red apples is not unhealthy in and of itself, if you are trying to reduce your overall sugar intake it can help to switch to green apples, especially if you eat this fruit regularly. Kris Gunnars at Healthline tells us about the dangers of eating too much sugar. (7) Sugar increases the rate of tooth decay, as it feeds the harmful bacteria in your mouth. Excess consumption of sugar is the basic cause of insulin resistance, which can lead to dangerous health problems like type 2 diabetes. When it comes to your cholesterol levels and heart disease risk, forget saturated fat—the evidence points toward excess sugar as the real culprit. Some scientists even believe that the elevated insulin levels caused by excess sugar intake can even increase cancer risk. Again, if you eat an overall healthy diet that limits sugar, eating red apples in place of green apples won’t harm you. But, if you’re trying to reduce sugar intake, switching to green apples is one of many “baby steps” that you can take to achieve this goal. In addition to offering a better protein and sugar content, green apples are higher in many micronutrients (vitamins and minerals) than red apples are. Micronutrients are very important to the proper functioning of the human body, and a deficiency in any given nutrient can cause real health problems. Apples are a very everyday fruit, yet they hold powerful benefits that many of us do not even know about. Though we have established that green apples are more nutritious than red apples, why eat apples in the first place? Apples contain many potent antioxidants, including quercetin, catechin, phloridzin, and chlorogenic acid. Antioxidants help prevent damage to your body’s cells, slowing down aging and preventing many health problems. If you want to get the health benefits of apple antioxidants, whole apples are the most appropriate way to eat them, as processed apple foods like apple juice and apple sauce will have a compromised antioxidant content. And although green apples have a better nutritional profile, if the antioxidants are more important to you, pick red apples instead. This can result in improved memory. In research, apples seem to have a neuroprotective effect. Regular apple consumption can help reduce the risk of dementia and cognitive decline in older adults. In 2014, researchers investigated the effects of various apple cultivars on the gut bacteria of mice. (12) It was discovered that Granny Smith apples offer the biggest benefits for gut health. The researchers suggest that this effect may in turn help to prevent and treat obesity. Eating plenty of apples can also reduce the risk of coronary heart disease, improve lung health, and decrease asthma. Green and red apples have distinct nutrient and chemical profiles. Does this mean one is healthier than the other? Green apples are more nutritious in many different ways. However, Red Delicious apples will provide more antioxidants. So, the question of which variety of apple is best for your health depends on your individual goals. Most people will benefit greatly from the extra fiber, vitamins, and minerals found in a Granny Smith. If you already eat a high-fiber, nutritious diet, the antioxidants in red apples may benefit you more.